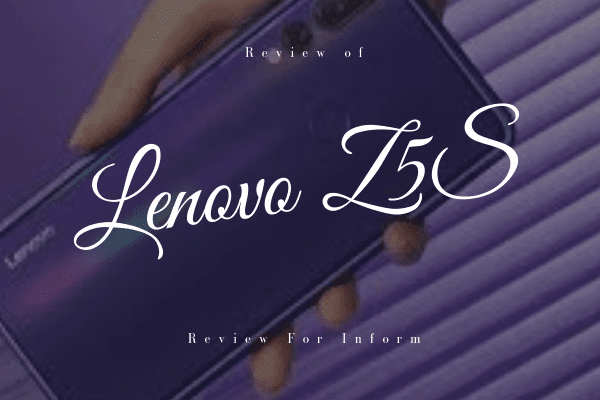 With the advancement of technology, the modernization of smartphones is increasing. Our technology is improving every day. Smartphones are also improving their feature with technology. Many Smartphone company updating their smartphone feature. Today I will tell you about an upcoming smartphone from Samsung. Samsung releasing a new foldable smartphone. Its name is Samsung Galaxy Fold. 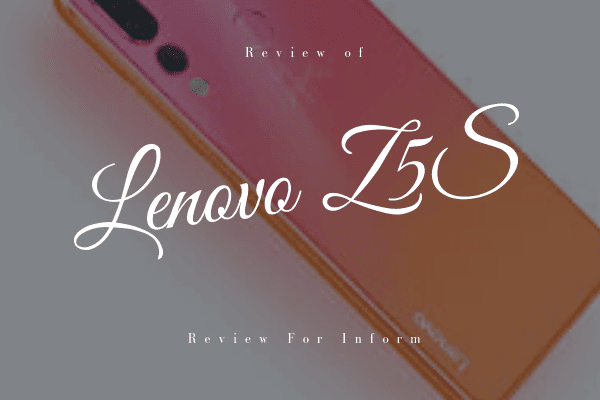 Today I will tell you about this phone. Samsung Galaxy Fold is a new upcoming smartphone. 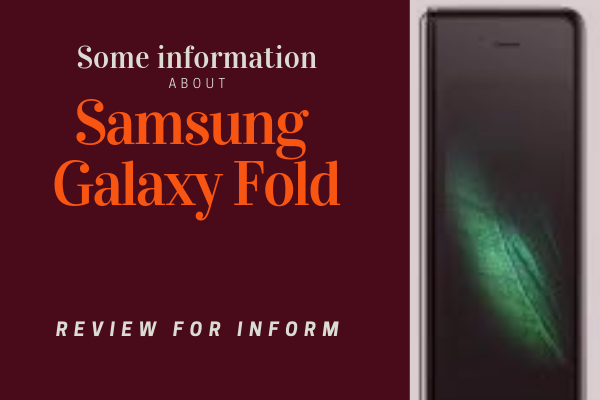 Samsung announced that Samsung Galaxy Fold releasing first on the United States on April 26, 2019, with a starting price of approximately 1900$-2000$. It will be released in Europe on May 3, 2019. The Samsung Galaxy Fold is not just a phone, it is a foldable device that can transform phone to tablet and tablet to phone. It gives you a display as large as 7.3-inches. Now, will tell you about its specification. Display:- Talking about the display, it has a large display that I already told you. Its display size is 7.3-inches with a resolution of 1536 x 2152 pixels. Talking about the cover display, it has 4.6 inches HD+ Super AMOLED cover display. OS (Operating System):- Its operating system is Android 9.0 Pie. Memory:- Samsung Galaxy Fold have 12 GB ram with 512 GB internal storage. AP:- It has 7nm 64-bit Octa-Core Processor. Battery:- The Samsung Galaxy Fold has the battery with 4380 mAh. Charging:- Fast Charging compatible. It can charge using wire and wireless. Front Camera and Rear Camera:- In Front, The Samsung Galaxy Fold has a dual camera with 10MP Selfie Camera and 8MP RGB Depth Camera. In Rear, The Samsung Galaxy Fold has a triple camera with 12MP Telephoto Camera, 12MP Wide-angle Camera, and 16MP Ultra Wide Camera. Colors:- The Samsung Galaxy Fold will come with four colors including Space Silver, Martian Green, Cosmos Black, and Astro Blue. So this is some information that I know about Samsung Galaxy Fold. 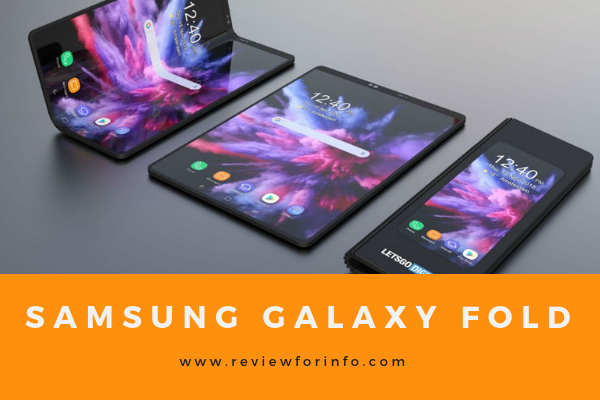 Given the high price, The Samsung Galaxy Fold definitely is a very special device, because this device has so many features that are not included in this article. But Samsung Galaxy Fold is not only foldable smartphone. It has some more competitors. In my future post, I introduce you with some more foldable smartphone. I hope you learn something new. If you like this post then don't forget to share this post with your friends. Thanks for reading this article.